STORAGE BAG FOR IT ACCESSOIRES: This practical bag is the perfect travel storage for chargers, cables and other microdevices. 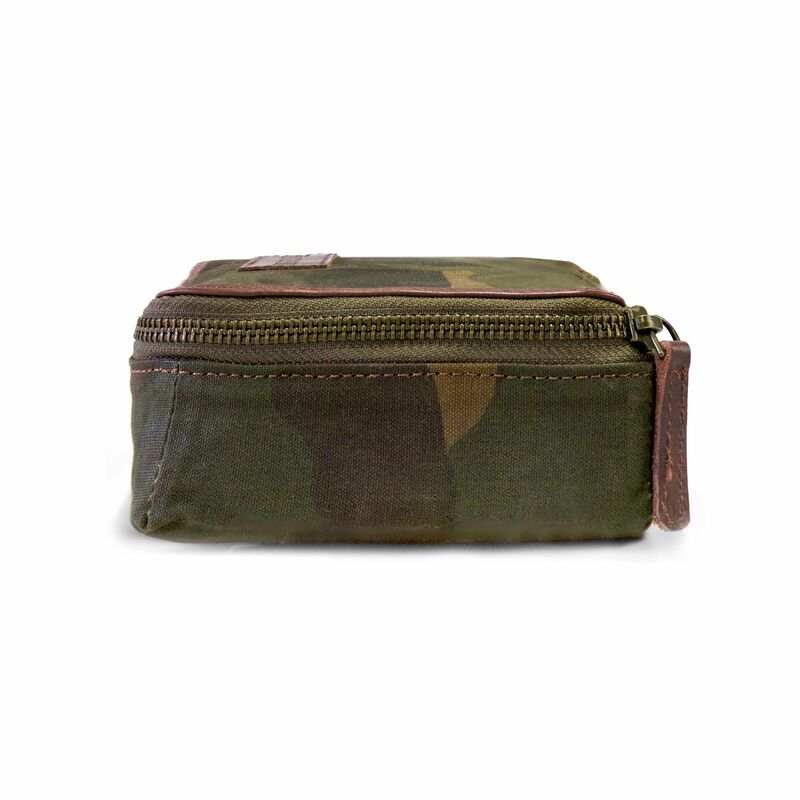 EXTREMELY VERSATILE: The Tech Case is also suitable for earphones, computer mouse, mobile hard disks, first-aid kit, or writing utensils. MANIFOLD DETAILS: Inside, the Tech Case is equipped with leather straps to fix cables, small earphones or flash drives. It also comes with two leather cable ties. 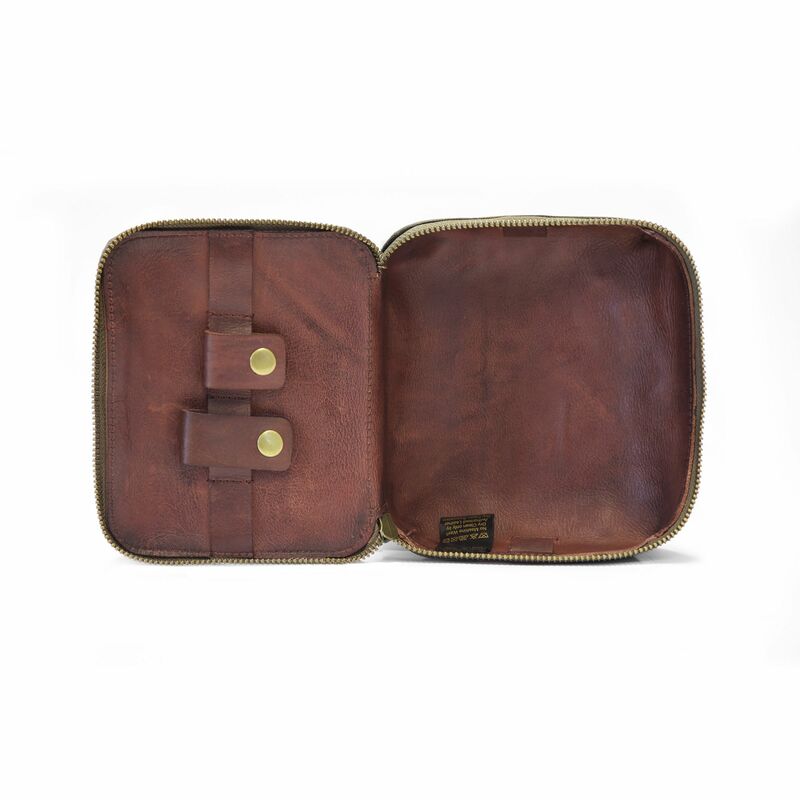 ROBUST AND HIGH QUALITY: The Tech Case is all made of finest Italian vachetta leather. The bags of our Kimberley edition pay homage to the early 19th century, when a journey was still an adventure and travellers were still venturers. They make a clear statement against the uniformity of travelling and provide stylish company for the longer or shorter adventures of life – products with a character and a distinctive identity. 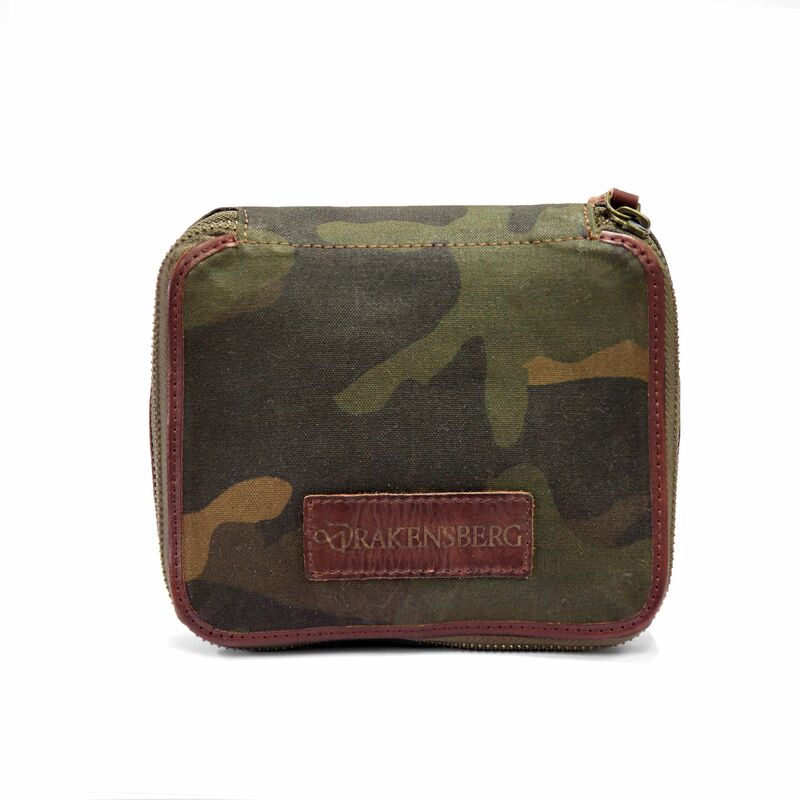 The Camouflage special edition is an extension of our classic line and is made of high-quality waxed canvas. This finishing also improved the bags’ self-support and makes them more resistant against damp and dirt. We combine nylon with finest, vegetal tanned Italian vachetta leather. Note: All cables and electronic devices shown are for illustration purposes only and are not included in the offering. 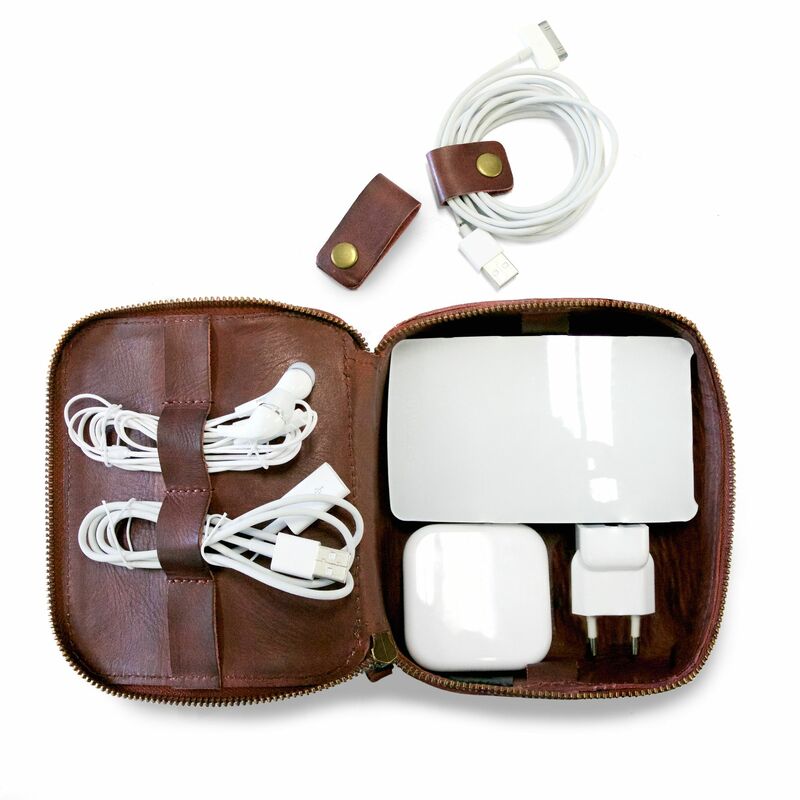 This practical bag is the perfect travel storage for chargers, cables and other microdevices. 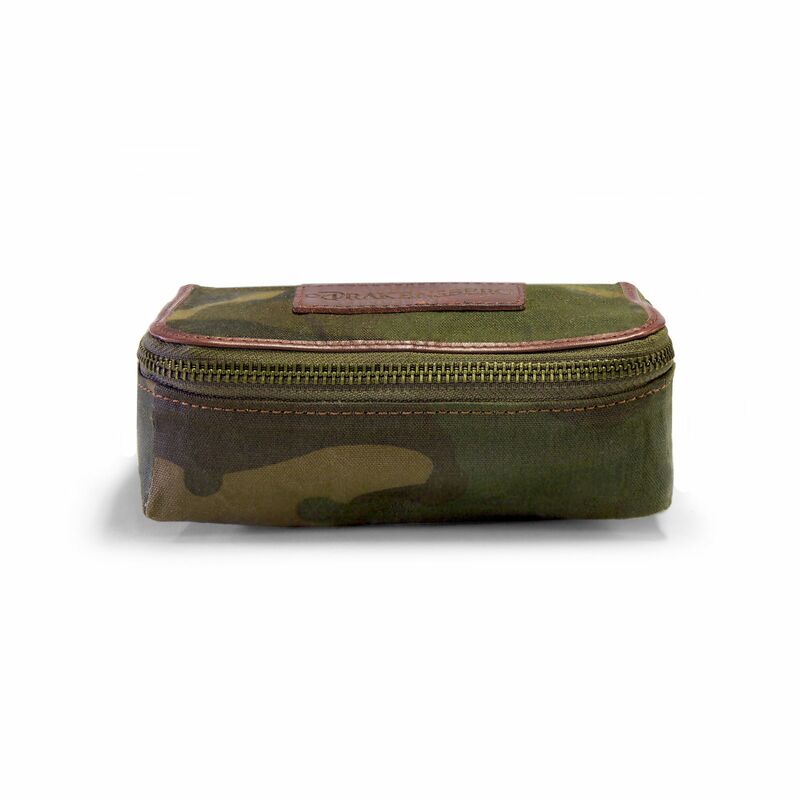 The Tech Case is also suitable for earphones, computer mouse, mobile hard disks, first-aid kit, or writing utensils. 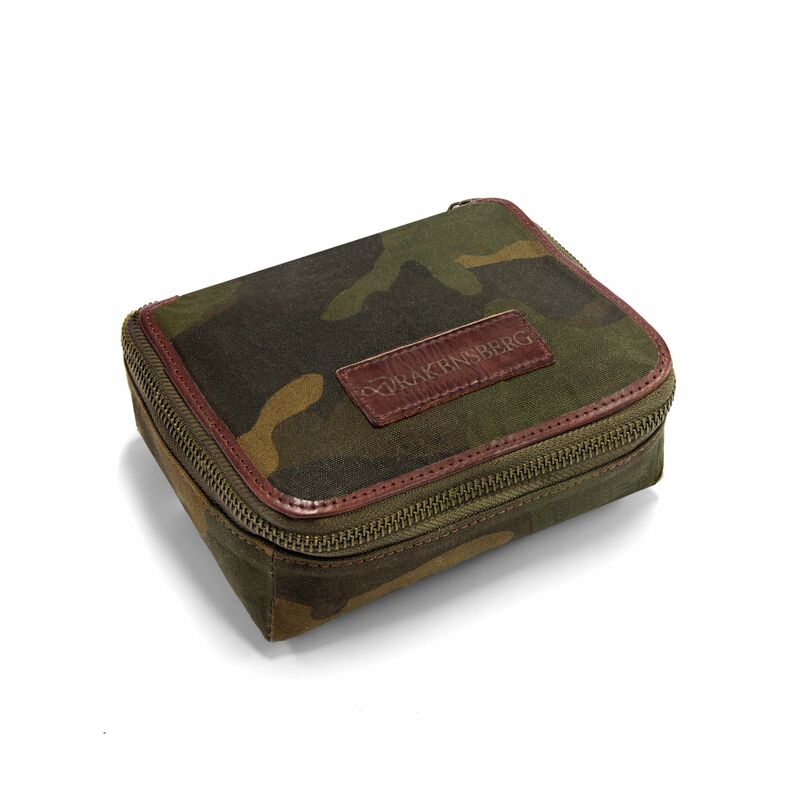 Inside, the Tech Case is equipped with leather straps to fix cables, small earphones or flash drives. It also comes with two leather cable ties. 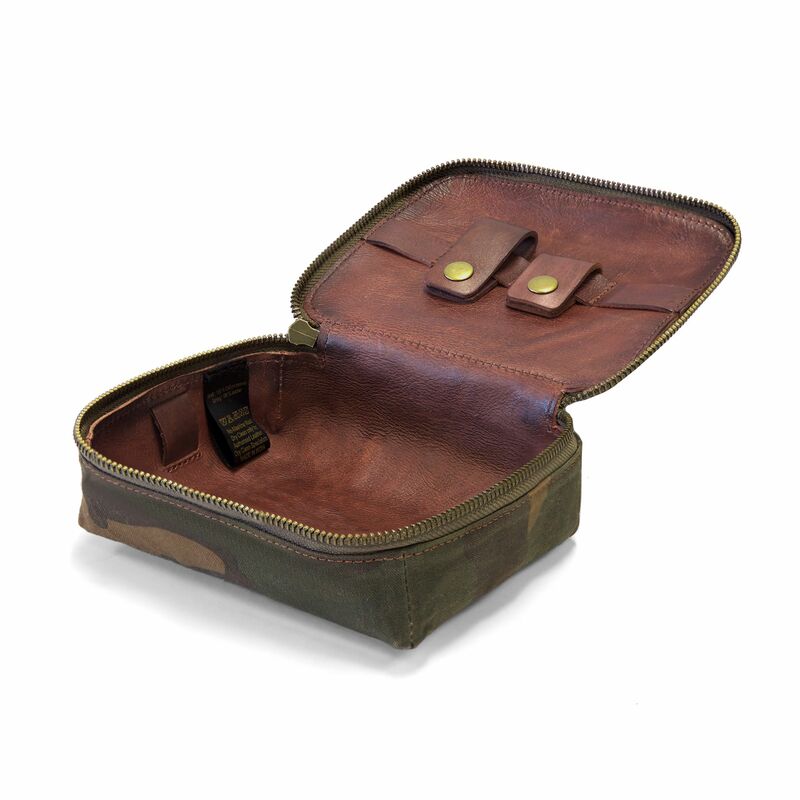 The Tech Case is all made of finest Italian vachetta leather. There is no rating for KIMBERLEY - Tech Kit - Camo.